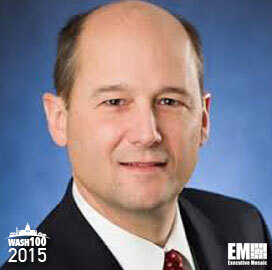 Executive Mosaic is glad to introduce Wayne Lucernoni, president of Harris Corp.’s information technology services business, as the newest inductee into the Wash100 — a group of influential leaders in the government contracting industry. Lucernoni leads the business segment that provides information networks, communication systems, systems and network integration services, mobility, cloud and other IT functions to government agencies and commercial healthcare IT organizations. Our sister site ExecutiveBiz conducted an in-depth Q&A with the 25-year Harris veteran earlier this year to discuss how the IT unit decided to emphasize organic growth over target acquisitions and how the healthcare market could evolve in 2015. “One of the great challenges in healthcare is to enable the easy sharing of different types of data — diagnostics, prescriptions, patient charting, basic health records, eligibility determinations, payments, etc. — among patients, practitioners and those who process claims,” Lucernoni told ExecutiveBiz. Lucernoni became president of the IT services business in early 2013 after a brief stint as the unit’s acting president. His career at Harris has included roles such as VP and general manager for intelligence, civil and healthcare IT programs and as VP for both civil and intelligence program areas. Executive Mosaic congratulates Wayne Lucernoni and the Harris team for their selection to receive this award.